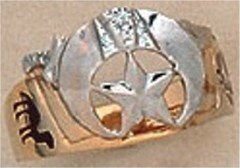 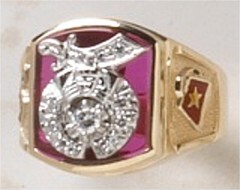 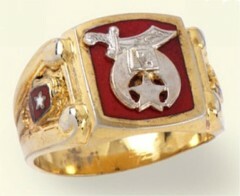 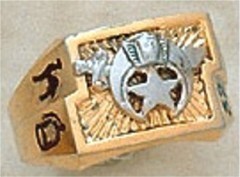 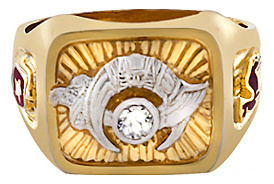 It is with a great deal of pleasure that Fox Jewelry is able to offer the expanded assortment of Shriner's Rings and other emblematic jewelry! 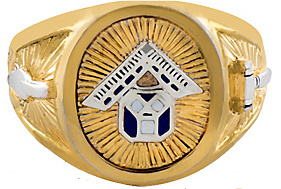 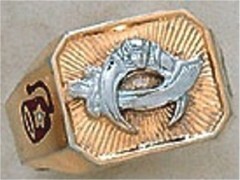 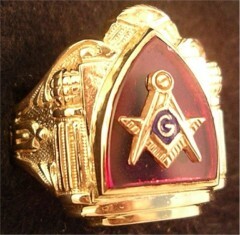 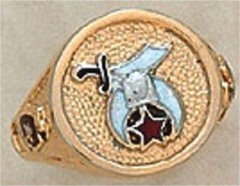 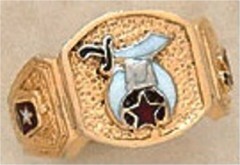 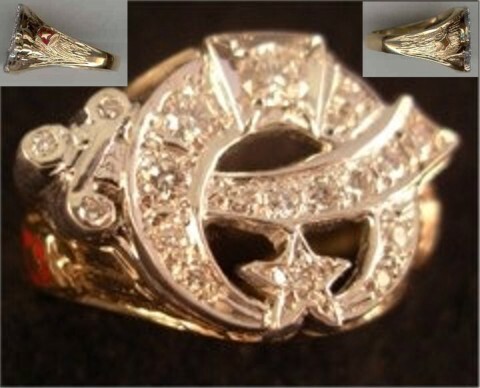 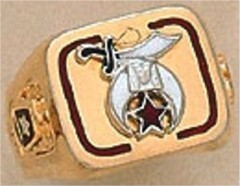 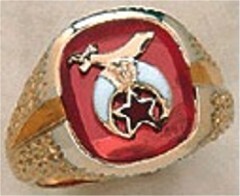 Fox Jewelry is fast becoming one of the leading sources for Masonic Rings, Masonic Jewelry, Shriners Rings and Shriners Jewelry on the net! 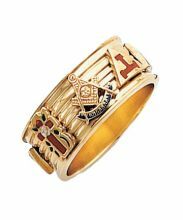 The items on these pages represent more than 150 years of the knowledge and experience required to manufacture the finest emblems and fraternal items. 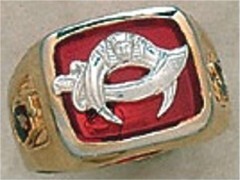 The quality of workmanship in these rings is recognized world-wide as the accepted standard of excellence in the creation of all types of emblematic jewelry! 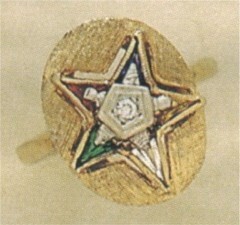 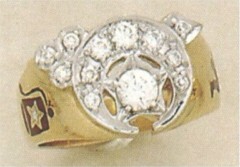 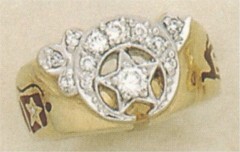 THESE RINGS ARE MADE TO ORDER. 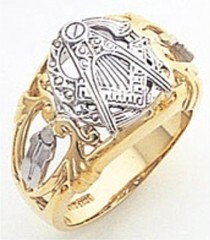 PLEASE TAKE CARE IN ORDERING THE CORRECT SIZE!..PLEASE BE PATIENT. 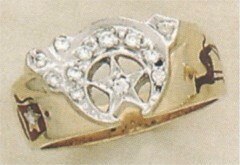 THESE RINGS ARE MADE ONE AT A TIME AND ARE NOT MASS PRODUCED. 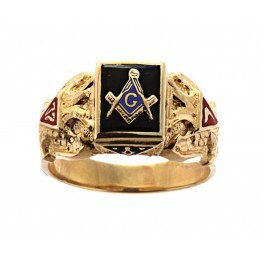 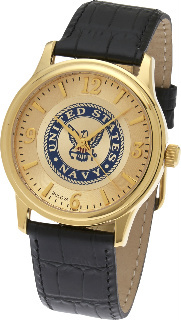 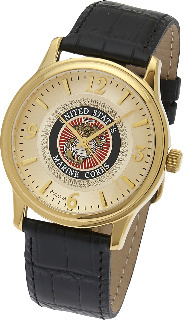 PLEASE ALLOW APPROXIMATELY 3-4 WEEKS FOR DELIVERY; ALTHOUGH RUSH ORDERS ARE SOMETIMES POSSIBLE. 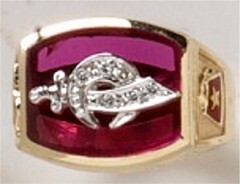 THEY ARE WORTH THE WAIT!